The 60-minute charts of SPY, QQQ & IWM list some nearby support & resistance levels to watch although the most significant level to watch at this time appears to be the 282.30ish level on SPY. 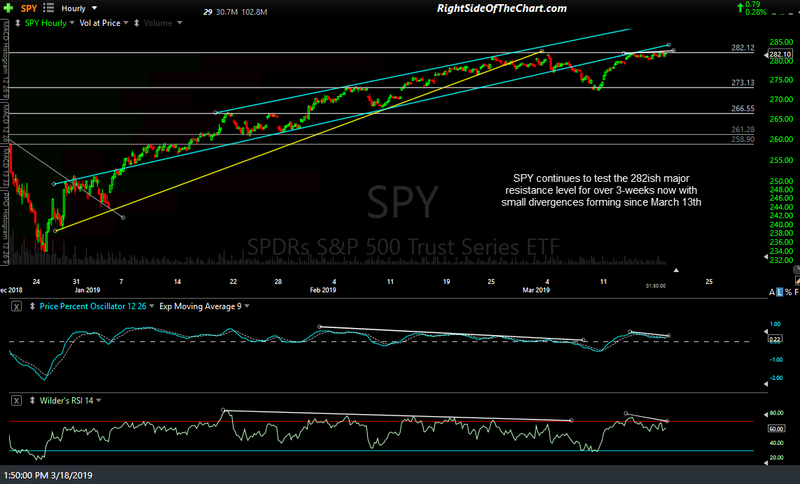 Even then, SPY has now entered the 4th consecutive week of testing that key resistance level with several brief pops above & back below. As such, I wouldn’t read too much into anything other than a solid weekly close above or below that level. Either way, here are some levels to watch & potentially trade off of until then. 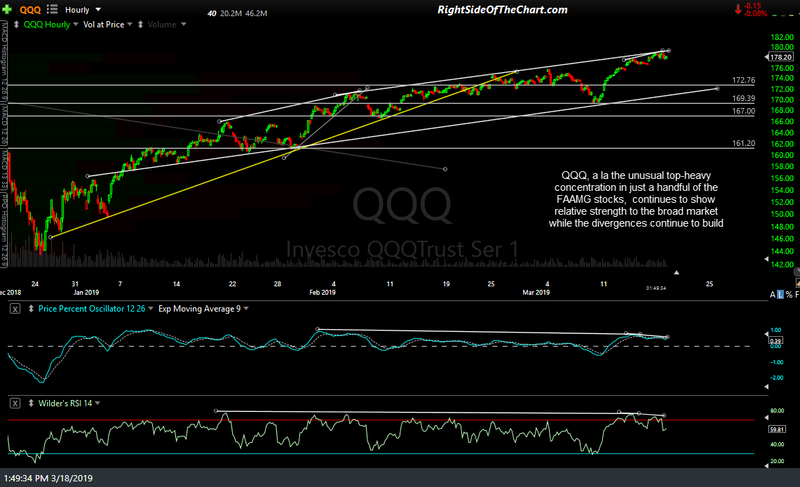 QQQ, a la the unusual top-heavy concentration in just a handful of the FAAMG stocks, continues to show relative strength to the broad market while the divergences continue to build. The first decent supports below come in around the 172.75 level as well as a minor uptrend line off the Jan 7th lows. 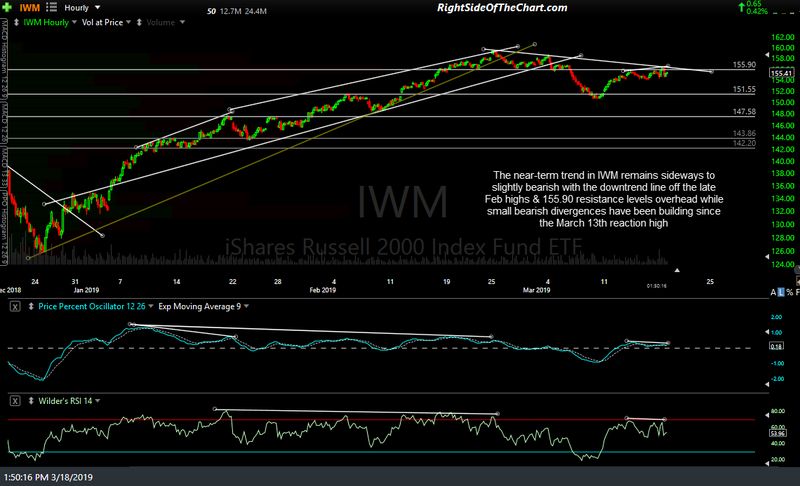 The near-term trend in IWM remains sideways to slightly bearish with the downtrend line off the late Feb highs & 155.90 resistance levels overhead while small bearish divergences have been building since the March 13th reaction high. @rsotc any thoughts on CL? 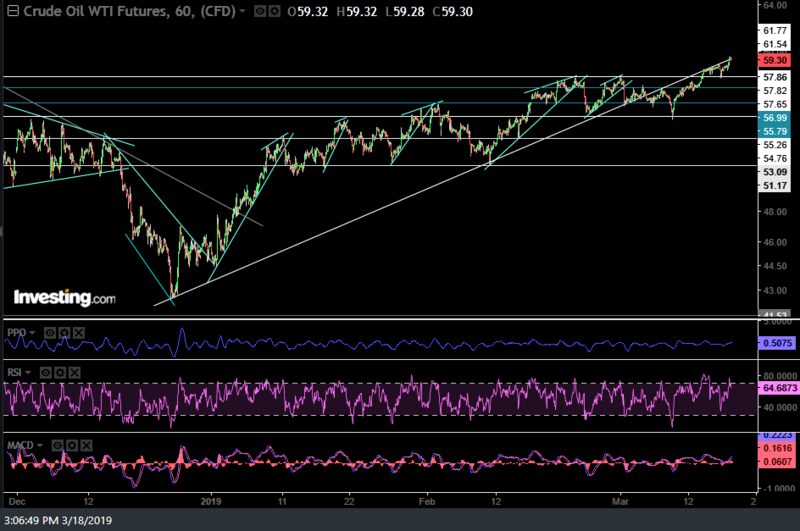 Looks like its bull flagging but its around the trendline so not sure.